I'd call the Tungsten Sphere a desktop toy, but given its high density--at just about 2" in diameter the sphere weighs over 3 pounds--I'm not sure how much fiddling or stress-relieving palm rolls you'll be able to do with it. Might be good for some isometric forearm or shoulder exercises during conference calls. And, ladies, ever heard of kegel balls? No, the Tungsten Sphere is more desktop art than desktop toy. It's also a cool (and by cool, I mean kind of geeky) conversation piece since anyone who moves to pick it up will likely find himself perplexed by its heft, and possibly drop it on his foot, neither of which will ever get old for you. 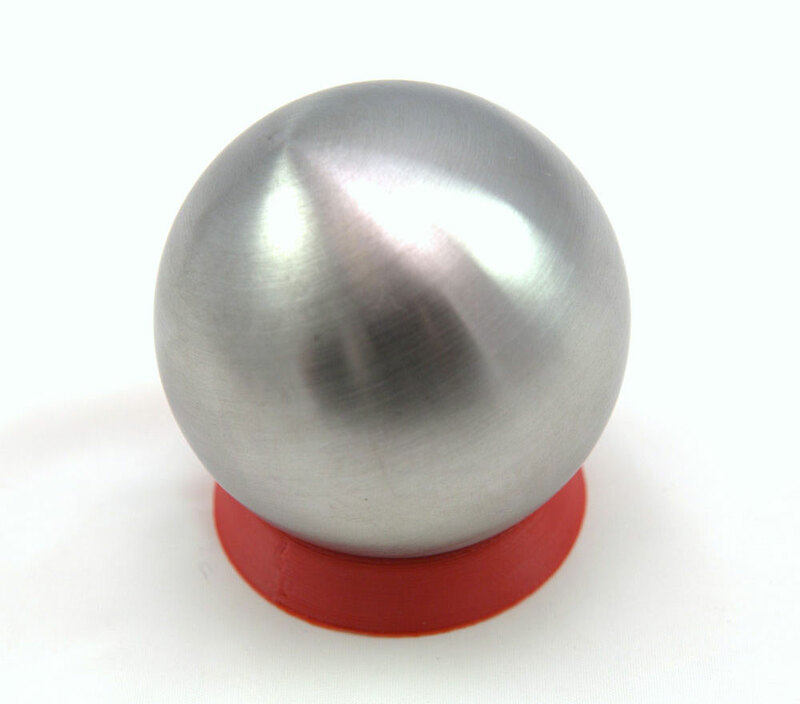 The Tungsten Sphere comes with a 3D-printed red display base and, at printing, manufacturer Midwest Tungsten Service was offering a free 1" Tungsten Cube with each Sphere purchase. 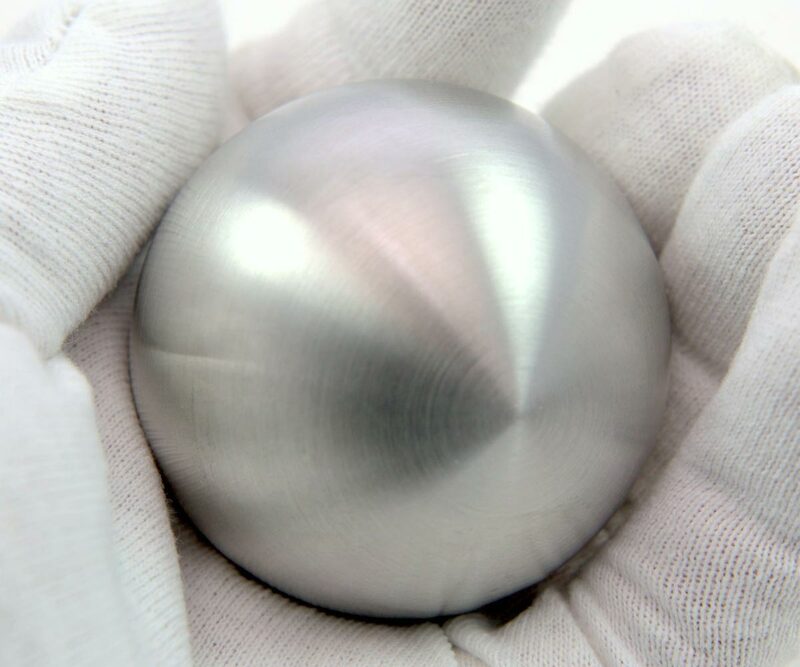 Note that an Amazon reviewer, while happy with his purchase, points out that the sphere is actually an alloy with iron and nickel, and not 100%, but about 95% pure tungsten.